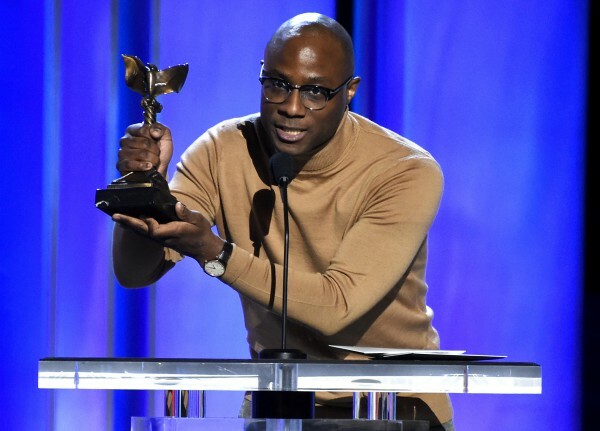 Two years after his “Moonlight” triumphed on the eve of the Oscars, Barry Jenkins’ adaptation of the James Baldwin novel “If Beale Street Could Talk” on Saturday topped the 34th Film Independent Spirit Awards, winning best film, best director and best supporting female for Regina King. Jenkins used his speech to instead largely urge more movies to be made with female directors and specifically credited the Scottish filmmaker Ramsey — who encouraged a Jenkins as a film student — for inspiration. “This award has your DNA in it,” Jenkins said. Their best-picture winner has often predicted Oscar-winners, including “Moonlight,” ‘’Spotlight,” ‘’Birdman” and “12 Years a Slave.” But last year Jordan Peele’s “Get Out” took the Spirits’ top honor before Guillermo del Toro’s “The Shape of Water” won at the Academy Awards. This year, “Beale Street” is nominated for three Oscars but not best picture. Altman ensemble award and best cinematography; and the micro-budget “En El Septimo Dia” won the Spirits’ John Cassavetes Award, which honors movies made for less than $500,000. BONNIE AWARD – Bonnie Tiburzi Caputo joined American Airlines in 1973 at age 24, becoming the first female pilot to fly for a major U.S. airline. In her honor, the second Bonnie Award will recognize a mid-career female director with a $50,000 unrestricted grant.